Belly Dance Japan Vol.24, Check my essay!! Belly Dance Japan magazine Vol.24 Now on Sale!! I wrote an essay about Tribal fusion for Belly dance Japan magazine. This essay is a series. I mention Tribal fusion’s music in Vol.24 . Please check it out!! You can order it in a Japanese bookstore, Amazon or their website. Tribal Fusion Belly Dance Classes by Natsumi Suzuki Starting June 4 at Salon Kabuki Downtown San Francisco. Her dance style combines Belly dance with Hip Hop, Jazz and Popping. 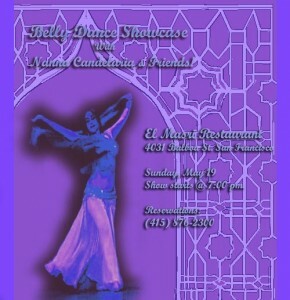 I’ll perform this Sunday at El Masri Restaurant. 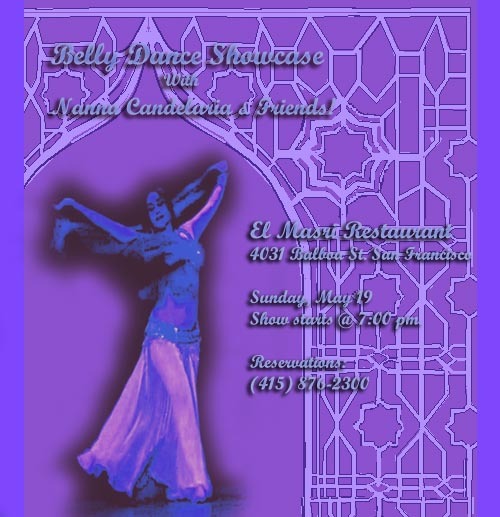 Bellydance Showcase at El Mazri Restaurant! In a marvelous evening of dance entertainment!